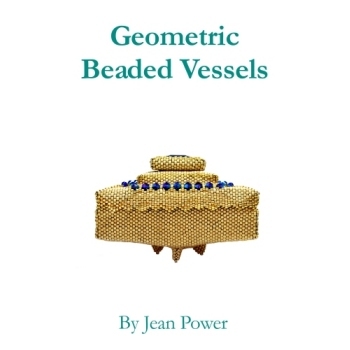 This brand new book will cover a wide range of beaded vessels that range from small storage boxes and wearable vessels to ornaments which hidden openings... and much more. The exact contents will remain a surprise until much nearer the publication date but it will be cram-packed with technique and project instructions as well as lots of instructions and photos of variations to enable you to make each piece uniquely yours. Nearer the publishing date more information will be available and the book will be able to be pre-ordered with a discount. Be sure to sign up to my newsletter to keep up to date with any news.